Abstract: The review mainly focused on ready-to-eat (RTE) fresh-cut fruits and vegetable (F&V) which are consumed raw or processed. In recent years, there has been growing evidence of consumption of minimally processed fruits and vegetable for the prevention of many chronic diseases. Some chemicals like chlorine, calcium chloride, etc., are used for sanitisation purpose in fruit and vegetable industry, but these chemicals form carcinogenic chlorinated compounds which have adverse human health impacts. Therefore, advanced alternative sanitisation techniques, processing methods and improved packaging materials may be implemented for ensuring safety and extending the shelf life of fresh-cut fruit and vegetable. Edible coating materials like methylcellulose, carrageenan and alginate are used for reduction of microbial load and preservation of fruit from the fruit and vegetable surface after harvesting. Some emerging alternative methods such as irradiation, high-pressure processing, power ultrasound, cold plasma and limitations of chemical methods have also been reported in this review for maintaining the quality and prevention of spoilage to a greater extent. The review also covers some post-harvest processing steps such as washing, sanitation, cutting and dipping treatments used for processing of fruits and vegetable. The information presented in this manuscript would be highly beneficial and effective for preservation, sensorial and nutritional quality of fresh-cut fruit and vegetable. Kambhampati Vivek, S. Suranjoy Singh, Ritesh W., Soberly M., Baby Z., Baite H., Mishra S., Pradhan R.C. The review mainly focused on ready-to-eat (RTE) fresh-cut fruits and vegetable (F&V) which are consumed raw or processed. In recent years, there has been growing evidence of consumption of minimally processed fruits and vegetable for the prevention of many chronic diseases. Some chemicals like chlorine, calcium chloride, etc., are used for sanitisation purpose in fruit and vegetable industry, but these chemicals form carcinogenic chlorinated compounds which have adverse human health impacts. Therefore, advanced alternative sanitisation techniques, processing methods and improved packaging materials may be implemented for ensuring safety and extending the shelf life of fresh-cut fruit and vegetable. Edible coating materials like methylcellulose, carrageenan and alginate are used for reduction of microbial load and preservation of fruit from the fruit and vegetable surface after harvesting. Some emerging alternative methods such as irradiation, high-pressure processing, power ultrasound, cold plasma and limitations of chemical methods have also been reported in this review for maintaining the quality and prevention of spoilage to a greater extent. The review also covers some post-harvest processing steps such as washing, sanitation, cutting and dipping treatments used for processing of fruits and vegetable. The information presented in this manuscript would be highly beneficial and effective for preservation, sensorial and nutritional quality of fresh-cut fruit and vegetable. Fresh produce is any fruit or vegetable or a combination of both in a raw state which has a major or minor physical alteration from its original form. These fruits and vegetable have been considered as a wholesome, convenient and ready to use products which offer high nutrition to the consumers. Fresh produce is subjected to packaging or bagging after thorough washing, peeling and slicing (Lamikanra, 2000). India has become the second largest producer of fruits and vegetable with 12.6% (81.3 million tonnes) and 14.0% (162.2 million tonnes) of the total world production of fruits and vegetable respectively (National Horticulture Board, 2016). India is a front-runner in mango, papaya, banana, guava, onion, cabbage, cauliflower, okra and ginger. It is suitable for cultivation of wide varieties of fruits and vegetable, i.e. more than 30 and 70 types of fruits and vegetable respectively were grown in the country. But the major interest is shown on some most prominent fruits and vegetable which include mango, banana, papaya, pomegranate, brinjal, tomato, cauliflower, chilli, cabbage, onions, potatoes, peas and some green leafy vegetable. Among 70 types of vegetable, potato stands at the first position in production and is the major cultivated vegetable followed by onion, tomato and brinjal (Rais and Sheoran, 2015). Fruits and vegetable (F&V) is considered an essential component of a healthy human diet because of their nutritional benefits. They have high levels of macro and micro-nutrients which include carbohydrates, proteins, lipids, fibres, minerals and vitamins (Abadias et al., 2008). High consumption of fruits and vegetable as a part of the daily diet can significantly lower the risk of many diseases such as cardiovascular disease (CVD), reduces blood pressure, skin diseases, stroke, cancer etc. (Vecchia, 2004; Pomerleau et al., 2005). Fruits and vegetable consumption during childhood has fascinating health benefits than in consumption during adulthood (Krebs-Smith et al., 1995; Baxter and Thompson, 2002; Buijsse et al., 2009). The accessibility and consumption of fruits and vegetable are high when they are in the form of readily available and convenient for eating. Ready to eat (RTE) pieces of apples, had a major influence on food consumption pattern for both children and adults (Cullen et al., 2003; Wansink, 2004). Various organisations like Food and Agriculture Organization (FAO), World Health Organization (WHO), European Food Safety Authority (EFSA) and United States Department of Agriculture (USDA) recommended to consume a daily minimum of 400 g fruits and vegetable for maintaining the overall good health and preventing heart diseases, cancer, diabetes, obesity, etc. (Ragaert et al., 2004; Allende et al., 2006a). There has been an increasing trend towards the use of fresh and minimally processed fruits and vegetable in the market. India’s per capita availability of fruit and vegetable is very little because of postharvest losses, and it accounts for about 25% to 30% of production. The increased level of F&V production has not been matched by the lack of advancement in supply chain management, processing machinery or by sharp integration of production with the processing in most of the developing countries (Rais and Sheoran, 2015) like India. Generally, fresh produce is cleaned, sanitised, trimmed, sliced or diced, packaged and refrigerated. Consumers always demand safe and quality food products that are well packaged and distributed with fresh appearance. Various factors like temperature, pH, water activity, redox potential and incorporation of additives in preserving fresh produce are important and also play a crucial role in improving and keeping the quality of fresh and minimally processed products. Techniques like effective packaging also increase the storage life of fresh-cut fruits and vegetable by retaining high nutritional value, thus ensuring an excellent eating quality of food products. Therefore, the main objectives of this paper are to present the important aspects, preservative techniques which can be adopted for enhancing the storage life and reducing the wastage of the fresh-cut fruits and vegetable products without or minimal loss in nutritional quality of the fresh produce. Proper sorting and grading of raw materials are necessary to obtain good quality product before processing. Sometimes, quality of fruit and vegetable also depends on cultivar and pre-harvest handling. The time between harvesting and processing also has an impact on the quality of fruits and vegetable. Also, fruit and vegetable get in contact with soil which can contaminate human pathogenic microbes such as Salmonella, Shigella, Enterobacter, E. coli O157: H7, L. monocytogenes, B. cereus, Y. enterocolitica, Campylobacter spp., C. botulinum, as well as certain viruses like Hepatitis A, Rotavirus and Norwalk disease virus and parasites such as C. parvum, G. lamblia and Cyclospora cayetanensis on fresh produce (Beuchat, 2002). There are some other factors such as a good packaging, speed of cooling, optimum RH, storage temperature and sanitation procedure help to maintain the quality of fruits and vegetable. Good knowledge of the texture of fruits is necessary as this is the major responsible factor for product damage or physical injury of product mainly during transportation. There are some sensorial characteristics like flavour that also comes under the quality of the produce because the flavour is influenced by sugar (sweetness), organic acid (acidity), phenolic compounds (astringency) and volatiles (aroma). General postharvest unit operations retain the quality of the fruit and are mentioned below. Washing of fruits and vegetable is carried out in two steps viz, during the first step, harvested fruits and vegetable are generally rinsed by tap water to remove pesticide residues, plant debris and other possible contaminants. Secondly, after peeling, cutting and shredding, washing can be carried out to remove microbes and tissue fluids. Water used for washing should be of good quality, and the product should store below 5 °C to reduce the microbial load, maintain the sensory quality and enhances the shelf life. Chemicals like sodium hypochlorite solution, potassium meta bisulphate etc. are commonly used to wash fruits in order to reduce the browning effect (Ahvenainen, 1996). Sanitizer like ultrasound should be used for reducing microbial count during washing and storage (Vivek et al., 2016). There are many challenges to food industries to reduce the chemical mix in water which is environmentally harmful. A technique able to disinfect efficiently both the processed water and the product would allow a high ratio of recycling and therefore reduce the wastewater rates with less impact on the environment. Fruits and vegetable get spoiled after harvesting due to poor handling practices, bruising and microorganisms. Fruits and vegetable undergo several unit operations like peeling, cutting and shredding to avoid spoilage. Fruits like apples, kiwi etc. and vegetable like potatoes, carrots etc. require peeling after harvesting. Various peeling techniques are available, among them hand peeling i.e. using a sharp knife is one of the common methods. But dull knife used during cutting and peeling of fresh fruits and vegetable leads to quality loss i.e., damaging of tissue and bruising occurs (Garcia and Barrett, 2002; Bolin et al., 1977). O’Beirne (1995), reported that rotating-blade used during cutting of lettuce results in less damage of tissues than the sharp stationery blade. If the fruits are not harvested with optimum maturity stage, then the damage of tissues take place during cutting. Cutting and shredding involve various tools to get the homogeneous shape and size of the product. However, in industry, mechanical peeling is normally accomplished by different machines which include rotating carborundum drums, drum washers, and high-pressure steam peelers (Wiley, 1994). Many fruits and vegetable provide an ideal condition for growth and survival of microorganisms because internal tissues are packed with nutrients, i.e. carbohydrates, proteins, vitamins and minerals. Especially, the vegetable have a pH near neutrality which gives microorganisms an ideal condition to multiply. F&V structure mainly constitutes cellulose, hemicelluloses, polysaccharides, and pectin. The inner surface (flesh) of the product gets exposed during peeling, cutting and shredding, hence there are higher possibilities of contamination with bacteria, yeasts and moulds. Fresh fruits are also infected by some pathogens like Escherichia coli O157: H7 (spinach, lettuce), S. Newport tomatoes, S. Typhimurium (tomatoes, lettuce), S. Thompson (rocket) and Hepatitis A (spring onion) (Heaton and Jones, 2008). Listerias are also well known for contaminating fresh fruit and vegetable (Artés et al., 2009). L. monocytogenes is present largely in potato, broccoli, carrot, turnip, cherry tomatoes, cucumber, sprouted seeds, mushroom, courgette, asparagus, cauliflower, celery, lettuce, pepper, and watercress (Merino et al., 1995; Beuchat, 1996). The moisture content of the product. Relative humidity of the environment. Product temperature, environment temperature and heat of respiration of the produce. Physical, mechanical and physiological damages. The decay of microorganisms (e.g. fungi or bacteria). The ethylene production in freshly harvested fruits and vegetable have both positive and negative effects. These products when exposed to heat during storage increases the biological activity due to ethylene formation. Synthesis and production of ethylene are enhanced during different stages of plant growth, as well as by various biotic and abiotic stresses (Saltveit, 1999). Some of the major stress-induced ethylene production leads to chilling injury and wounding which may cause chlorophyll loss and yellowing of leafy vegetable and green stems. To control or minimise ethylene production during storage of fresh fruit and vegetable, chemicals such as aminoethyoxyvinylglycine, higher calcium, 1-methylcyclopropene, aminocyclopropane-1-carboxylic acid and aminocyclopropane-1-carboxylic acid oxidase are used (Watkins, 2006). Respiration is the process by which a plant takes in oxygen and gives out carbon dioxide. Fruits and vegetable respire both in the field and after harvest. Respiration leads to oxidative metabolism which in turn results in the change of various physicochemical behaviours of these products (Day, 1993). The oxygen present in the atmospheric air leads to the breakdown of carbohydrates into carbon dioxide and water which in turn produces energy in the form of heat. Wounds such as cutting, peeling and trimming etc. increase the respiration rate of fruits and vegetable. The respiration rate was double for an Irish carrot using abrasion peeling method as compared to that of the hand-peeled method for both fine and coarse carrots (O’Beirne, 1995). The freshly produced fruits and vegetable get deteriorated or damage when exposing to extreme high-temperature conditions. Therefore, temperature management is very important for reducing biological reaction and wounding. On every 10 oC decreases in temperature, the metabolic or biological reaction can be reduced up to two to three times (Brecht, 1995). He also reported that cold water (0 oC) could be used for washing at the harvesting location to remove the field heat evolves from freshly harvested fruits and vegetable and hence decreases respiration rate. Maintaining low temperatures conditions during transportation and storage can slow down the ripening process of fruits, decreases the metabolic processes, deterioration and production of ethylene. Higher temperature (50-55 oC) processing with short treatment time is useful for denaturation of enzyme and metabolism disruption in freshly harvest fruits and vegetable, but it may lead to physiological injury for longer treatment time (Kader and Mical, 2002). The concentration of O2 has a significant effect on fresh-cut fruits and vegetable regarding the loss in colour and firmness. Higher concentration of O2 around and within the fruits and vegetable can also lead to enhancement of free radicals resulting in damage of plant tissues (Fridovich, 1986) due to oxidation. This may also create a favourable condition for the occurrence of fermentation by giving undesirable flavour and aroma to the fresh cut fruits. The concentration of O2 and CO2 in the surrounding environment should not be below 2% and more than 5% respectively to check the occurrence of anaerobic reaction (Saltveit, 2003). The oxygen concentration has a greater significance effect on fresh-cut fruits and vegetable than CO2 concentration. Gram-negative bacteria and fungi are very sensitive to carbon dioxide but anaerobic bacteria, lactic acid bacteria and yeasts are highly immune to CO2 (Cantwell and Suslow, 1999). Increasing CO2 concentration results in the decrease in respiration which leads to minimizing browning and microbial growth on some fresh cut fruits and vegetable (Kader, 2002). Therefore, oxygen and carbon dioxide concentration level in the surrounding environment should be at a significant level for fresh-cut fruit and vegetable. Browning is a quality problem which causes a poor appearance of fresh produce. It can be categorized into two, i.e. enzymatic and non-enzymatic browning. Some examples are found in peeled and sliced fruits and vegetable such as apple and potato which colour changes to brown due to enzymes like polyphenol and peroxidase etc. The phenolic compounds are oxidised by these enzymes resulting in colour change. This type of browning is called enzymatic browning. Other enzymes like phenylalanine ammonia-lyase (PAL) are also responsible for browning. Fujita et al. (2006), showed the browning of lettuce leaves due to ethylene. Non-enzymatic browning appears upon heating or storage after processing of foods. Washing with water is not an efficient way to prevent colour change (Mattila, 1995). Sulphites were used for preventing browning, but this has been banned by the US Food and Drug Administration (FDA), due to their side effects on people with asthma (McEvily 1991; Monsalve,1995). Enzymatic browning can be delayed or may be prevented using other chemicals like 4-hexylresorcinol, benzoic acid, cinnamic acid, calcium treatments, citric acid, ascorbic acid, citric acid combined with ascorbic acid, alone or in combination with potassium sorbate etc., Apart from these chemicals, Pineapple juice, lemon juice, gallic, galaturonic, mallic acids are also used to reduce the browning effect in fruits and vegetable (Hewajulige et al., 2003; Manganaris et al., 2007). Preservation of fruits and vegetable by adopting minimal food processing techniques gives assurance for safety and retaining the natural freshness of the products (Allende et al., 2006a.b). By minimally processing, products shelf life can be increased up to 5 to 7 days when stored at 4 oC maintaining the nutritional and sensory qualities of the products (Cliffe-Byrnes and O’ Beirne, 2005). Several countries are adopting specialised packaging, minimal processing and natural preservation techniques for fruits and vegetable due to the growing consumer demand for “fresh-like” fruits of high quality. Minimally processed foods are highly susceptible to the growth of microorganisms because most of the fruits and vegetable have low acid, high water activity and many cut portion (Ahvenainen et al., 1994). Due to this reason, minimally processed fruits and vegetable products must be processed and stored at a low temperature to achieve a longer storage life and ensure microbial safety. Thus, it can be effectively achieved by more advanced processing methods and treatments using the hurdle concept (Brackett 1994; Wiley 1994). Minimal processing methods are sub-categorised into three, i.e. chemical, physical and novel methods. Chlorine dioxide is a disinfectant used for fruits and vegetable which is an alternative to chlorine because it has 2.5 times the oxidising capacity of chlorine and it does not produce any toxic by-products (Keskinen et al., 2009). FDA approves a residual concentration of 3 mg/l aqueous chlorine dioxide as a good antimicrobial agent for washing of fruits and vegetable. It directly reacts with the microbial cell RNA and amino acids hence its treatment is very efficient against disease-causing microorganisms like Escherichia coli Legionella, Cryptosporidium, Giardia cysts and virus by avoiding the formation of protein (Francis and O’ Beirne, 2005; Fu et al., 2007). The ClO2 gas is quite efficient for surface sterilisation. Treatment with ClO2 is considered as non-thermal techniques for reducing the pathogens and spoilage bacteria on fresh cut and fresh produce. The lethality of the ClO2 gas treatment depends on the concentration of gas, exposure time, temperature and relative humidity (Du et al., 2003; Singh et al., 2002). The FDA has certified application of acidified sodium chloride at a concentration of 500 to 1200 ppm for spraying or dipping on different food products, including freshly harvest fruits and vegetable (Code of Federal Regulations, 2007). It is an effective antimicrobial agent which is prepared by reducing the pH from 2.5 to 3.2 of a solution of sodium chlorite with any generally recognised safe acid (Warf, 2001). It plays a substantial role in reducing the count of pathogens including Salmonella and E. coli O157: H7 which were inoculated from honeydew melons, cantaloupes and asparagus spears, etc. (Artes et al., 2009; Stopforth et al., 2008). Acidified sodium chlorite treated with carrot shreds showed 5.25 log reduction of pathogens when washed under process water as compared with unwashed samples (Beuchat, 1996; Parish et al., 2003). Intensive research is required for exploring the application of acidified sodium chloride for sanitisation of fresh fruits and vegetable. Hydrogen peroxide (H2O2) is a strong oxidising agent and has both bacteriostatic and bactericidal effects. Generally, it is recognized as safe status. However, it can be used in food industries as an antimicrobial or bleaching (Code of Federal Regulations, 2007). It is an effective sanitizer which can be used as an antimicrobial agent at the concentration of 0.04 to 1.25% up to 80 ppm in washing water. It is an alternative to chlorine because of its strong oxidising potential, bacteriostatic and bactericidal activities. The principle of H2O2 is to generate cytotoxic agents (hydroxyl radical) which reduces the microbial population present in fruits and vegetable (Akbas and Olmez, 2007; Alexandre et al., 2011a). The maximum microbial reduction can be seen in the product with good quality when the solution maintained at 50 to 60 °C (Parish et al., 2003; Beltrán et al., 2005b). Sapers and Simmons (1998), reported that 2 log microbial load was reduced when 0.5% H2O2 used for washing of dirty mushroom. Peroxyacetic acid is a strong oxidising agent formed from peracetic acid and hydrogen peroxide commonly adopted for washing of fruit and vegetable. It is an effective antimicrobial agent which inactivates pathogenic and spoilage microorganisms in suspension. More than 80 ppm of peroxyacetic acid in the wash water is necessary for substantial reduction of the microbial population in fresh fruit and vegetable (Artes et al., 2009; Sapers, 2005). Calcium salts like calcium chloride, calcium phosphate, calcium lactate, calcium gluconate and calcium propionate are used for the extensive study for decay sanitation and nutritional enhancement in fruit and vegetable (Brant, 2002). These salts are commonly used when the main aim is to preserve or maintain the firmness of the products (Alzamora et al., 2005; Luna-Guzman and Barrett, 2000; Manganaris et al., 2007). 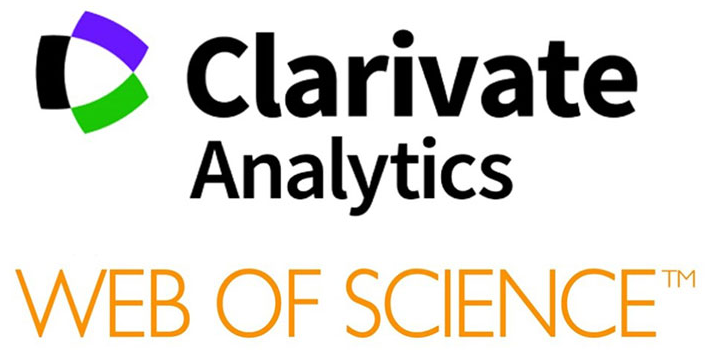 The concentration of calcium salts used for washing is in the range of 0.5 to 3 % (Main et al., 1986). Iodine is used as a sanitizer in food processing equipment as a surface cleaning agent. Iodine-containing solutions can be used indirectly because iodine and starch present in the fruits and vegetable react with each other resulting in a blue-purple colour (Ayala-Zavala and Gustavo, 2011; Parish et al., 2003). Iodophor was also found to be not effective even at 300 ppm of titratable iodine, although manufacturers recommend a maximum of 75 ppm of titratable iodine for environmental surface disinfection and 25 ppm for sanitising food-contact surfaces (Gulati et al., 2001). TSP is used as a disinfectant for many fruits and vegetable. Studies showed one log reduction of Salmonella on the surface of tomatoes when dipped in 15 % TSP solution for 15 seconds (Zhuang and Beuchat, 1996). But 2 % TSP was not sufficient enough to reduce the E. coli O157: H7 on orange any more than water alone. The use of TSP to reduce the count of L. monocytogenes from shredded lettuce is found to be not much effective (Weissinger et al., 2000; Parish et al., 2003). The higher concentration greater than 10 % of TSP can be sufficient to damage the nutritional, taste and flavour of lettuce and hence use of higher concentration must be avoided. The application of tri-sodium phosphate as a disinfectant in fruits and vegetable is limited commercially because of their high pH ranges (Parish et al., 2003). These compounds have been used as a disinfectant for fruits and vegetable because of its antimicrobial activity. Quaternary ammonium compounds are more effective in reducing the microbial population than any other sanitizers. The antimicrobial activity of this compound is much effective on fungi and gram-positive bacteria than gram-negative bacteria (Aase et al., 2000). The high surface active ability of these compounds may break down the cell membrane and wall complex when applied to fruits (Ayala-Zavala and Gustavo, 2011). Orange fruit, when treated with quats solution with 500 ppm concentration for 30 s and chlorine solution with 150-250 ppm for 2 min respectively, reduces the Xanthomonas campestris effectively (Brown and Schubert, 1987). The disadvantage of these compounds is that the product must be peeled before consumption and the compounds should not be in direct contact with the food (Parish et al., 2003). Hypertonic aqueous solutions are used for the partial dewatering of plant tissues in osmotic dehydration and are a widely used method for preserving the fruits and vegetable. During this process, counter-diffusion of solutes from the concentrated solution occurs, and water removal takes place from the plant tissue into the cellular tissue (Ferrando and Spiess, 2001). This process is commonly beneficial for increasing the storage life of freshly harvested produce with high moisture content. It can also be used as a pre-treatment method before freezing and air drying. The mass transfer rate of concentrated solution can be increased by using new technologies like ultrasound. The shelf life, microbial stability, retaining of sensory and nutritional qualities can be enhanced by combining this method with other mild techniques and by storing the final products at a lower temperature (Fernandes and Rodrigues, 2008). Ozone is usually used to inactivate the microbial contamination in drinking water. It has been certified to use for inactivating the microbes on fresh produce because of its strong antimicrobial properties with high penetrability and reactivity. It can be used in liquid as well as in gas forms with the concentration of 0.03 to 20 ppm respectively (Saftner et al., 2003). Ozonated water has been used for reduction of microbial load and for increasing the shelf life of various fresh-cut fruits and vegetable (Alexandre et al., 2011b). Gaseous ozone is found to be more effective than aqueous form as suggested by extensive research and literature survey (Klockow and Keener, 2010; Baur et al., 2005; Al-Haddad et al., 2005; Hua and Reckhow, 2007; Parish et al., 2003; Pascual et al., 2007). Gaseous ozone is very much effective against E. coli O157: H7 in a package and it also extends the storage life of different fruits such as pears, apples, oranges, grapes, strawberries and raspberries (Beuchat et al., 1996). Some products, like spinach, noticed the loss of its colour when treated with ozone (Oner et al., 2011; Klockow and Keener, 2010; Al-Haddad et al., 2005; Selma et al., 2008). MAP refers to the modification of the atmospheric composition of a package by decreasing the content of oxygen (O2) and replacing it with nitrogen (N2) or/and carbon dioxide (CO2). The MAP is the simplest form of vacuum packaging (VP), in which air is removed from packets and low O2 permeable films are used to pack the products and sealed (Arvanitoyannis, 2012). During MAP of fresh produce, the partial pressure of oxygen is low, and CO2 should be high but not too low and too high because this leads to injury of fruit. The main purpose of MAP packaging is to extend the shelf life of whole and cut produces by delaying enzymatic browning, reducing respiration rates, minimising the metabolic activity of ethylene production and improves outer appearance. It may also retard the growth of spoilage microorganisms when storage at low temperatures which helps in improving a product quality (Bennik et al., 1996). An atmospheric pressure of 3 kPa O2 and 10 kPa CO2 maintained a good appearance of lettuce, without much effect on microbial growth (Barriga et al., 1991; Saxena et al., 2008). A setback of this technology is an anaerobic spoilage microorganism which generates CO2 inside the package and also allows simulated growth of pathogens (Rosa et al., 2007; Rodriguez-Aguilera et al., 2009; Luo et al., 2004). For the MAP, different types of packaging materials may be used for packing of fresh-cut fruits and vegetable such as polymers, films, formats, structures, etc. for making oxygen transmission rate (OTR) polymers, flexible, rigid containers, micro-perforated materials (Day, 2001). The parameters depend on the product weight, respiration rate, desired atmosphere composition, internal package dimensions and handling temperatures. Active and intelligent packaging are recent developments in the field of food packaging. Active packaging is a technology that involves the addition of necessary active ingredients and agents like enzymes, organic acids, fungicides, natural extracts, ethanol, ions etc. into packaging systems (Restuccia et al., 2010). Common examples of active packaging are antimicrobial packaging, temperature-sensitive sensors, absorbents and cook-in packaging etc. In the case of fresh-cut produce, the antimicrobial packaging is to kill step of pathogenic bacteria. This improves the food quality and safety with an extended shelf life (Dainelli et al., 2008; Restuccia et al., 2010; Cruz-Romero et al., 2013). Feasibility of the product with packaging material should be taken into consideration as applications of active packaging devices are limited. Adsorbent packaging can absorb gases or liquids produced from fresh-cut product inside the package which helps to improve shelf life as ethylene gas produced always act as a ripening hormone in fresh-cut produce (Brody, 2005). Cook-in packaging is meant for microwave cooking where heat generated from microwaves and its resultant steam within the package is used directly for cooking (Forney, 2007). Intelligent packaging can be used to monitor freshness of the food. Separate container with a small paper sachet or a substance is directly incorporated into the packaging material which is the responsible substance for active or intelligent functions (Dainelli et al., 2008; Arvanitoyannis, 2012). As these packaging materials can detect and record any changes within the packet, all manufacturers, retailers and consumers get direct information about the packaged food which is used to check the integrity and effectiveness of the packaging (Kerry et al., 2006; Arvanitoyannis, 2012). All additives placed within package need to meet all the necessary regulations made by Food and Drug Administration (FDA) and Environmental Protection Agency (EPA) for packaging materials that will be in direct contact with food (Shanklin and Sanchez, 2005). Nanotechnology plays a vital role in building up the nano-composite materials for the development of new packaging materials with enhanced mechanical and antimicrobial properties. With the current trend of using non-biodegradable packages in the food industry that generates environmental problems, the demand for eco-friendly packaging materials is essential and is increasing. To reduce this problem to a greater extent, biopolymers nano-composite packaging materials are widely introduced. Many eco-friendly biopolymers have been studied to make packaging materials but poor barrier and mechanical properties limit them for their use in food industries (De Azeredo, 2009; Duncan, 2011). Therefore, researchers have developed fillers with nanoscale dimension (nanoparticles) composites with good barrier and mechanical properties to enhance basic qualities of food packaging materials, for example; strength when subjected to temperature change, barrier and antimicrobial (Roy et al., 2012). Photosensitization is the novel concept of antimicrobial reduction in food processing. Photoactive compounds (photosensitizer) and visible light interact with food material which leads to a reduction in spoilage microorganisms. It is sprayed on the surface of fresh produce where most of the microorganisms on the surface will bind with it. Various photocytotoxic reactions occur due to the exposure of visible light with fruits and resulting in the death of microorganisms without any adverse effects on fruit properties (Luksiene and Brovko, 2013). This treatment has been successfully implemented for strawberries to reduce microbial load by a logarithmic reduction of 1.7 (Luksiene and Paskeviciute, 2011). Green tea extract is effective as an antimicrobial on fresh-cut dragon fruit (Matan et al., 2015). Irradiation is a preservation technology which is similar to pasteurisation in this technology, ionisation radiation form energy which helps to kill microorganisms without using heat. X-ray, Gamma-ray and electron beams are called ionising radiations as they can create particles, electronically charged particles and ions or atoms. These radiations have similar systems regarding their impacts on microorganisms and nourishment. The essential target of radiation is on water since it delivers free radicals which respond and deactivate bacterial load. Food products are subjected to expose either in bulk or packaged form to ionising radiations (Allende et al., 2006b; Soliva-Fortuny and Martin-Belloso, 2003). Low dose of irradiation is applied to slow down maturation and reduce the microbial load on food. Gamma radiation can penetrate fruits, and vegetable tissues are hindering microorganism and decrease decay (Prakash et al., 2000; Workneh, Pretorius and Hugo, 2003). World Health Organization (WHO), Food and Agriculture Organization (FAO) and International Atomic Energy Agency (IAEA) have confirmed that irradiation is not harmful for use in food processing sector (El-Samahy et al., 2000). The maximum level of 1.0 kGy irradiation in foods can be used as per Food and Drug Administration (FDA), and Food Irradiation Coalition allowed irradiation up to 4.5 kGy only for iceberg lettuce and spinach to increase shelf life (Parish et al., 2003). To delay the growth of Grey Mould (Botrytis cinerea) and Rhizopus rot on strawberries, gamma irradiation up to 3 kGy doses at 1-5 °C is recommended. It is also reported that 0.1-3.0 kGy of gamma radiation helps to extend the shelf life of strawberries, cherries, apricots and apples without loss of sensory quality (Hussain et al., 2008). Ultraviolet radiation is used for inactivating the spoilage microorganisms at low frequency i.e. 100 to 400 nm and is classified according to their wavelength: UV-A (315 to 400 nm) i.e., near-ultraviolet radiation; UV-B (280 to 315 nm) known as mid-range UV and UV-C (100 to 280 nm) known as far-UV (Prakash et al., 2000). For fruits and vegetable, 100 to 280 nm, i.e. UV-C is the most commonly used frequency range because it acts as an antimicrobial agent either in direct form or in an indirect form. It causes the direct destruction of bacterial DNA and may increase the resistance mechanisms against spoilage microorganisms in various foods. High doses of UV-C are used to prevent foods that decay rapidly after harvesting, but with low doses of UV-C radiation (254 nm), decay can get worsened. (Ben-Yehoshua and Mercier, 2005). Pulsed light treatment is an alternative technology to ultraviolet light. It is also known as high-intensity light pulse (HILP) (Palgan et al., 2011). The principle of the PL is that it uses high-frequency short time pulses with a broad spectrum that is rich in UV-C light. With a wide spectrum of lights in the wavelength of 100–1100 nm, this process is used as an effective inactivation technique for solid and liquid foods. Due to the continuous pulsed light, microbial DNA structure collapses and thus resulting in shelf life extension of the food product. The efficiency of this treatment may decrease due to absorption of effective wavelength by some food components because decontamination is dependent on light absorption by microbes (Pataro et al., 2011; Vicente et al., 2005; Ramos-Villarroel et al., 2012). There is an appropriate intensity of pulse that helps to improve the sensorial and physical appearance of food produce. There are many studies carried out on inactivation of microorganism by applying PL on the surface of fresh produce such as Botrytis cinerea and Monilia fructigena on strawberry (Marquenie et al., 2003) and Escherichia coli and Listeria innocua on fresh mushroom (Ramos Villarroe et al., 2012). Xu (2014), recently investigated that Salmonella Enteric is inactivated by pulsed light on the surface of green onions. PL not only reduces the decontamination but also retains the nutritional quality of fresh-cut fruits and vegetable (Palgan et al., 2011). HPP is a non-thermal technology that inactivates enzymes and various spoilage microorganisms by subjecting food material to high pressure ranges between 100 to 1000 MPa. This technique is superior to the traditional thermal processing techniques and maintains the flavour of food without any loss of nutrients. It is one of the is most suitable techniques for processing fruits and vegetable that are sensitive to enzymatic browning, softening and microbial contamination. This process also extends the shelf stability and improves sensory quality of the product (Knorr et al., 2011; Schlüter et al., 2009; Laboissière et al., 2007). However, HPP may lead to a change in the texture of food products, disturbs chemical and microbial stability. These changes depend on several factors including treatment time, pressure, different enzymes present and type of microorganisms. Due to this drawback, HPP can be operated at low temperatures for minimizing the loss of nutrients, flavour and colour. A temperature of 25o to 40°C with 350 MPa can considerably reduce the microbial load on fresh onions (Butz et al., 1994). The green colour of leafy vegetable improved when processed at 500 MPa for 1 min at ambient temperature (Krebbers et al., 2002). A temperature of 18o to 22°C with 400 or 800 MPa pressurisation for 15 min showed the major pigments in raspberry got stabilized (De-Ancos et al., 2000). The softening effect in apple, pear, orange, green pepper and red pepper were also found to be noticed after HPP treatment above 200 MPa at 20 °C for 20 min (Basak and Ramaswamy, 1998; Suthanthangjai et al., 2005). The treatment of high pressure at 800 MPa to strawberry puree also changed its flavour property (Lambert et al., 1999; Oey et al., 2008). Power ultrasound also referred to as the high-intensity ultrasound lies in the range between 20-100 kHz. It promotes the changes in physical and chemical properties of food products due to the continuous compression and expansion cycle of the material resulting in the formation of cavitation bubbles (Rico et al., 2007; Vivek et al., 2017). This influences a drastic rise in localized pressure and temperature in the transmission medium which depends mainly on the amplitude of the ultrasound. This type of phenomenon is termed as sponge effect, i.e. having a double effect on moisture removal and solid gain. The process should have a liquid medium for the transmission of power to the food material. However, ultrasound alone cannot significantly decrease the microbial load to a greater extent (Alexandre et al., 2011a; Sagong et al., 2011). As a result, the combination of ultrasound with liquid chemical sanitizers like chlorine, chlorine dioxide and organic acids are more effective as it enhances the penetration of these liquids to deeper areas of a hydrophobic surface of fruits and vegetable (Cao et al., 2010; Seymour et al., 2002). Cold plasma is an innovative and emerging technology used for disinfecting material surfaces. It composes of gas molecules which are non-thermal ionized gases, i.e. cold plasma gases are dissociated by electrical energy input. It is also known as a cold sterilisation technique. This gas consists of electrons, photons, positive and negative ions, free radicals that acquire the capacity to destroy the microorganisms. The main reason for the cold plasma ionization process is due to the reactive chemical products and UV light (Niemira, 2012). The direct and indirect applications of cold plasma and thermal plasma respectively show the capability of food to treat at low temperatures (<70 °C) in food processing. One of the most widely used cold plasma process in the food sector and which is normally carried out at atmospheric pressure is the plasma jet dielectric barrier discharges because it does not alter any phase transitions and allows continuous process control (Schlüter et al., 2013). Studies have reported the effectiveness of cold plasma on the disinfection of pathogens, such as Salmonella spp. and E. coli O157:H7 (Misra et al., 2011; Wang et al., 2012; Niemira, 2012; Schlüter et al., 2013). Several factors such as the number of cells, type of microorganisms, physiological state of cells, inactivation medium, gas mixture, gas flow etc. are responsible for the intensity of inactivation (Bermúdez-Aguirre et al., 2013). Edible coating means applying thin layers of edible material on the surface of a food product. The wax coating method can be replaced by implementing the edible coating over various food products. This is done to serve as a barrier to moisture, gases, and minimise the solute movement in fruits and vegetable (McHugh and Senesi, 2000). Since contamination of the fruit flesh begins from the skin, coatings on the surface decrease the fruit spoilage from the pathogenic microorganism, biochemical deteriorations such as browning, texture change, off-flavour development and increases the fruit quality (Dhall, 2013). An edible coating carries an active ingredient with it such as colourants, anti-browning agents, flavours, nutrients, nutraceuticals, texture enhancers and antimicrobial compounds that can improve quality and shelf life of fruits and vegetable (Susenoet al., 2014; Nisperos-Carriedo, 1994). The edible coating can be applied to the fruits and vegetable surface through different methods like brushing, dipping, spraying etc. The material used for making edible films coating should be generally regarded as safe (GRAS) and must be approved by FDA (Guilbert et al., 1996; Miller and Krochta, 1997). This technology can be applied to many products for controlling moisture transfer, solute migration, respiration, an oxidation process and contact with harmful insects. It can also give the same effect like modified atmosphere storage as it helps to increase the shelf life of food products (Dhall, 2013). Studies on edible coatings are still limited on fresh-cut fruits; some are presented in Table 1. Methylcellulose Pear Prolonged shelf life reducing browning. Olivas et al., 2003. Chitosan or carnauba wax Grapefruit Prevent decaying with inhibiting of fungi. Abdel-Kader et al., 2011. Shrimp chitosan Banana fruit Prevent weight loss and reduced darkening. Hossain and Iqbal (2016). The herbal edible coating is a new technique which nowadays is widely used in food industries. The most commonly used herbs for edible coating are aloe-vera gel, neem, lemongrass, rosemary, tulsi and turmeric which have antimicrobial properties, vitamins, antioxidants and essential minerals (Douglas et al., 2005). There are some challenges and disadvantages occurred in the coating of cut fruit and vegetable. An edible coating cast by ethanol has a lower permeability regarding water vapour pressure (WVP), oxygen, and carbon dioxide than water. If the ethanol is not completely evaporated when it is used as a solvent for coating formulation, it can be produce-off unpleasant flavours, and even it can react with the fruit to produce volatile compounds which are not desirable (Olivas et al., 2003). The edible coating to cut fruits limits the rate of oxygen diffusion thereby reducing the respiration rate such an extent that it forces the fruits to undergo anaerobic respiration, metabolises glucose into ethanol. Checking the permeability of oxygen and production of ethanol to overcome the formation of off-flavour and cellular death on exposure to ethanol is very important (Kays, 1991; Lin, 2002). Preservative techniques on various fruits and vegetable are presented in Table 2. Sensory analysis of fresh cut fruits can be carried out by a trained panellist for evaluating the influence of processing and storage conditions on the quality of the fruits. Some researchers carried out various studies of sensory quality evaluation on the shelf life of these fresh-cut products: avocado, pear and mango (Dorantes-Alvarez et al., 1998; Gorny et al., 2000; Bai et al., 2001). Agar et al. (1999), studied the ascorbic acid in kiwifruit slices as influenced by various atmospheric conditions. Vitamin C content of the slices stored under 0.5, 2 and 4 kPa of pressure decreased by 7, 12 and 18% respectively after storing them for 12 days. The atmospheric condition has no much significant effect on the sugar contents. Studies in fresh-cut pears (Senesi et al., 1999), apples (Bett et al., 2001), kiwifruit (Agar et al., 1999) and melon (Lamikanra et al., 2000) also found that sugar levels do not vary substantially under refrigerated storage. On the other hand, Lamikanra et al. (2000), a study showed that the storage temperature of fresh-cut cantaloupe highly influences a reduction in organic acids content. The phenolic compounds are also very important in the enzymatic browning of fresh cut fruits because they are responsible for the loss of nutritional values. Calcium is involved in maintaining the textural quality of produce since calcium ions form cross-links or bridges between free carboxyl groups of the pectin chains, resulting in the strengthening of the cell wall. N-acetyl cysteine is involved in maintaining the colour of apple for 2 weeks. This compound reacts with the quinones formed during the initial phase of enzymatic browning reactions by reducing the formation of O-quinones to O-diphenols. Film packaging also reduces water loss and improves the sensory characteristics of fresh cut fruits. There have been many recent improvements and innovations in plastic films and packaging equipment specifically aimed at fresh-cut products. Food pathogens, inoculated on the surface of berries were inactivated by photosensitization without affecting its sensory characteristics. It is important to note that no negative impact on antioxidant activity, amount of phenols, anthocyanin or colour was found in treated strawberries (Luksiene and Paskeviciute, 2011; Izumi, 1999). The growth of potential food-borne pathogens is higher on fresh-cut produce compared to whole produce because fresh-cut produce has availability of nutrients (Krebs-Smith et al., 1995). The processing industries should be aware of providing training to farmers for handling fresh produce for the safety. Industrialists may also face problems like higher import and export duties, road conditions, etc. Hence they expect undamaged fruits and vegetable from the farm or storages. They have a great challenge to resolve this problem and enhance the fresh produce market. Therefore, industries should give importance for collaborative research work with academic institutions to enhance knowledge about the reduction of microbial load and nutritional loss during storage, handling, etc. of fresh fruits and vegetable (Casteel et al., 2008; Sonti et al., 2003; Garcia et al., 1998). Consequently, fresh produce has become a critical element in the competitive strategy of many retailers, making the year-round availability of produce a necessity. Supplying of seasonal, perishable products on a year-round basis has been a great challenge which becomes a compelling factor in favour of imports and increased integration among grower-shippers, both nationally and internationally. To increase the consumption of fresh produce, the industries should continue to emphasize on different varieties, quality levels for both upscale and downscale consumer segments, breeding for improved taste, matching packaging technologies with the needs of each market segments, and developing more innovative merchandising strategies particularly for the rapidly growing category (Hu and Fu, 2003; Lee et al., 2003; Fan and Mattheis, 2000). Developing countries like India are leading the way in innovation of fresh-cut produce industries. Government regulations, as well as large retail groups, are demanding higher standards of sanitary design for processing plants and packaged foods. Automation and custom-made equipment are rapidly replacing hand-cutting operations. Foreign bodies in products are being removed using automated detection systems. Chlorine, traditionally used as a disinfectant in the wash water, is being replaced by a host of other chemical and non-chemical treatments as the by-products of chlorine are thought to be carcinogenic. Retailers demand a longer shelf-life and research is progressing in the MAP and in ideal storage conditions to prolong shelf-life. Still, development in packaging material is necessary for terms of increasing shelf life of fresh-cut fruits and vegetable. Replacement of sulphite chemicals is also required along with safe and effective biocides for washing and decontamination. Awareness towards eating ready-to-eat (RTE) fresh-cut fruits and vegetable has been increased because of various health benefits. 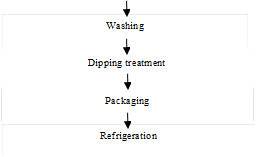 The proper post-harvest processing steps such as washing, sanitation, cutting and dipping treatments are important for processing of fruits and vegetable. Traditionally, to decrease the microbial contamination of fruits and vegetable, various chemicals like sodium hypochlorite and other acids as disinfection agents are commonly used. But these chemicals form carcinogenic chlorinated compounds which have adverse human health impacts. Therefore, advanced alternative sanitisation techniques, processing methods and improved packaging materials may be implemented for ensuring safety and extending the shelf life of fresh-cut fruits and vegetable. This helps to reduce microbial load and increase the shelf stability of fruits and vegetable. Apart from this advanced packaging material like the MAP, a concept of smart packaging helps to improve shelf life and to know the product quality respectively. The advanced packaging material helps to keep fruits and vegetable fresh without undergone any chemical treatment and chilling. AHVENAINEN, R., MATTILA-SANDHOLM, T., OHLSSON, T., 1994. Minimal processing of foods, VTT symposium series, vol. 142. Espoo: Technical Research Center of Finland (VTT). ALEXANDRE, E.M., BRANDÃO, T.R., SILVA, C.L., 2011a. Modelling microbial load reduction in foods due to ozone impact. Procedia Food Science, 1, pp.836-841. ARVANITOYANNIS, I. (2012). Modified atmosphere and active packaging technologies. CRC Press. AYALA-ZAVALA, J.F., GONZÁLEZ-AGUILAR, G.A., 2011. Use of additives to preserve the quality of fresh-cut fruits and vegetable. Advances in fresh-cut fruits and vegetable processing. CRC Press, Boca Raton, pp.231-254. BEN-YEHOSHUA, S., MERCIER, J., 2005. UV irradiation, biological agents, and natural compounds for controlling postharvest decay in fresh fruits and vegetable. Environmentally friendly technologies for agricultural produce quality, pp.265-299. BRACKETT, R.E., 1994. Microbiological spoilage and pathogens in minimally processed refrigerated fruits and vegetable. In Minimally processed refrigerated fruits & vegetable (pp. 269-312). Springer, Boston, MA. BRANT, L.A., 2002. Calcium the essential mineral. Formulation and Ingredient Challenges, Issue November. BRECHT, J.K., 1995. Physiology of lightly processed fruits and vegetable. Hort Science, 30(1), pp.18-22. BRODY, A.L., 2005. What’s fresh about fresh-cut. Food technology, (56), pp. 124-126. BROWN, G.E., SCHUBERT, T.S., 1987. Use of Xanthomonas campestris pv. vesicatoria to evaluate surface disinfectants for canker quarantine treatment of citrus fruit. Plant Disease (EUA) v. 71 (4) pp. 319-323. CANTWELL, M.A.R.I.T.A., SUSLOW, T.R.E.V.O.R., 1999. Fresh-cut fruits and vegetable: aspects of physiology, preparation and handling that affect quality. In Annual Workshop Fresh-Cut Products: Maintaining Quality and Safety, 5, pp. 1-22. CFR. Code of Federal Regulations, Title 21, Part 184.1366. Hydrogen peroxide. 2007. http://frwebgate3.access.gpo.gov/cgi-bin. Accessed 03.12.07. DAY B., 2001. Fresh Prepared Produce: GMP for High Oxygen MAP and Non-Sulphite Dipping. Guideline No. 31, Campden and Chorleywood Food Research Association Group, Chipping Campden, Gloucestershire, U.K, 76. DAY, B.P.F., 1993. Fruit and vegetable. In Principles and applications of modified atmosphere packaging of foods (pp. 114-133). Springer, Boston, MA. DE ANCOS, B., GONZALEZ, E., CANO, M.P., 2000. Effect of high-pressure treatment on the carotenoid composition and the radical scavenging activity of persimmon fruit purees. Journal of Agricultural and Food Chemistry, 48(8), pp.3542-3548. DOUGLAS, M., HEYES, J., SMALLFIELD, B., 2005. Herbs, spices and essential oils: post-harvest operations in developing countries. UNIDO and FAO, p.61. EL‐SAMAHY, S.K., YOUSSEF, B.M., ASKAR, A.A., SWAILAM, H.M.M., 2000. Microbiological and chemical properties of irradiated mango. Journal of food safety, 20(3), pp.139-156. FAN, X., MATTHEIS, J.P., 2000. Reduction of ethylene-induced physiological disorders of carrots and iceberg lettuce by 1-methylcyclopropene. HortScience, 35(7), pp.1312-1314. FOOD and DRUG ADMINISTRATION, HHS, 2005. Irradiation in the production, processing, and handling of food. Final rule. Federal register, 70(157), p.48057. FRANCIS, G.A., O’BEIRNE, D., 2005. 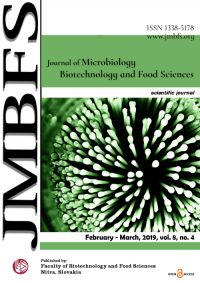 Variation among strains of Listeria monocytogenes: differences in survival on packaged vegetable and in response to heat and acid conditions. Food Control, 16(8), pp.687-694. GARCIA, E., BARRETT, D.M., 2002. Preservative treatments for fresh-cut fruits and vegetable. Fresh-cut fruits and vegetable, pp.267-304. HEWAJULIGE, I.G.N., WILSON WIJERATNAM, R.S., WIJESUNDERA, R.L.C., ABEYSEKERE, M., 2003. Fruit calcium concentration and chilling injury during low temperature storage of pineapple. Journal of the Science of Food and Agriculture, 83(14), pp.1451-1454. HU, A.W., FU, Z.H., 2003. Nanotechnology and its application in packaging and packaging machinery. Packaging Engineering, 24, pp.22-24. KADER, A.A., 2002. Quality parameters of fresh-cut fruit and vegetable products. Fresh-cut fruits and vegetable, pp.11-20. KAYS, S. J. (1991). Postharvest physiology and handling of perishable plant products. Van Nostrand Reinhold Inc.
KNORR, D., FROEHLING, A., JAEGER, H., REINEKE, K., SCHLUETER, O., SCHOESSLER, K., 2011. Emerging technologies in food processing. Annual review of food science and technology, 2, pp.203-235. LUKSIENE, Z., BROVKO, L., 2013. Antibacterial photosensitization-based treatment for food safety. Food Engineering Reviews, 5(4), pp.185-199. LUO, Y., MCEVOY, J.L., WACHTEL, M.R., KIM, J.G., HUANG, Y., 2004. Package atmosphere affects postharvest biology and quality of fresh-cut cilantro leaves. HortScience, 39(3), pp.567-570. MATTILA, M., AHVENAINEN, R., HURME, E., 1995. Prevention of browning of pre-peeled potato. In Proceedings of Workshop on Systems and Operations for Post-Harvest Quality, COST 94 ‘Post-harvest treatment of fruit and vegetable (pp. 225-34). MCEVILY, A.J., IYENGAR, R., OTWELL, S., 1991. Sulfite alternative prevents shrimp melanosis. Food Technology, 45(9), pp.80-86. MISRA, N.N., TIWARI, B.K., RAGHAVARAO, K.S.M.S., CULLEN, P.J., 2011. Non-thermal plasma inactivation of food-borne pathogens. Food Engineering Reviews, 3(3-4), pp.159-170. MONSALVE-GONZALEZ, A., BARBOSA-CANOVAS, G.V., MCEVILY, A.J., IYENGAR, R., 1995. Inhibition of enzymatic browning in apple products by 4-hexylresorcinol. Food technology (USA), 49, pp.110-118. NATIONAL HORTICULTURE BOARD, 2016 (http://nhb.gov.in/Default.aspx). NISPEROS-CARRIEDO, M.O., 1994. Edible coatings and films based on polysaccharides. Edible coatings and films to improve food quality, 1, pp.322-323. O’BEIRNE, D., 1995. Influence of raw material and processing on quality of minimally processed vegetables. Improvement of the safety and quality of refrigerated ready-to-eat foods using novel mild preservation techniques. Progress Highlight C/95. PASCUAL, A., LLORCA, I., CANUT, A., 2007. Use of ozone in food industries for reducing the environmental impact of cleaning and disinfection activities. Trends in Food Science & Technology, 18, pp. S29-S35. PATARO, G., MUÑOZ, A., PALGAN, I., NOCI, F., FERRARI, G., LYNG, J.G., 2011. Bacterial inactivation in fruit juices using a continuous flow pulsed light (PL) system. Food Research International, 44(6), pp.1642-1648. RAIS, M., SHEORAN, A. (2015). Scope of supply chain management in fruits and vegetables in India. J. Food Process. Technol, 6(3). SALTVEIT, M.E., 2003. Fresh-cut vegetable. BARTZ, JA; BRECHT. SAPERS, G.M., SIMMONS, G.F., 1998. Hydrogen peroxide disinfection of minimally processed fruits and vegetable. Food technology (USA), 52(2), pp.48-52. SAPERS, G.M., 2005. Washing and sanitizing treatments for fruits and vegetable. Microbiology of fresh produce. ASM Press, Washington, DC, pp.375-400. SCHLÜTER, O., FOERSTER, J., GEYER, M., KNORR, D., HERPPICH, W.B., 2009. Characterization of high-hydrostatic-pressure effects on fresh produce using chlorophyll fluorescence image analysis. Food and Bioprocess Technology, 2(3), pp.291-299. SENESI, E., GALVIS, A., FUMAGALLI, G., 1999. Quality indexes and internal atmosphere of packaged fresh-cut pears (Abate Fetel and Kaiser varieties). Italian journal of food science: IJFS= Rivista italiana di scienza degli alimenti, 11(2), pp.111-120. SHANKLIN, A.P., SÁNCHEZ, E.R., 2005. FDA’s Food Contact Substance Notification Program. Foodsafety magazine. VECCHIA, L. C., 2004. Mediterranean diet and cancer. Public health nutrition, 7(7), pp.965-968. VIVEK, K., SUBBARAO, K. V. 2018. Effect of edible chitosan coating on combined ultrasound and NaOCl treated kiwi fruits during refrigerated storage. International Food Research Journal, 25(1), 101-108. WANSINK, B., 2004. Environmental factors that increase the food intake and consumption volume of unknowing consumers. Annual Review of Nutrition, 24, pp.455-479. WARF, C. C., KEMP, G. K., 2001. The chemistry and mode of action of acidified sodium chlorite. In 2001 IFT annual meeting (pp. 1-91). XU, W., 2014. Foodborne pathogenic decontamination and quality enhancement of fresh produce using pulsed light (PL) and sanitizer washing (Doctoral dissertation, University of Delaware).